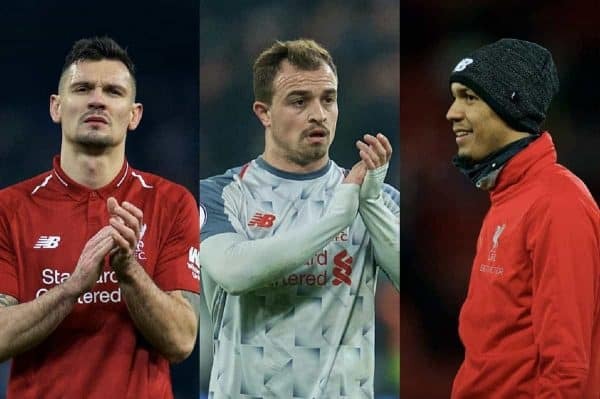 Jurgen Klopp has provided a mixed update on Dejan Lovren and Xherdan Shaqiri for Liverpool’s clash with Bayern Munich, with Fabinho in line to start at the back. The Reds headed to their mid-season training camp in Marbella without Lovren (hamstring), while Shaqiri (abdomen) followed an individual programme along with the likes of Alex Oxlade-Chamberlain and Rhian Brewster. With Virgil van Dijk already suspended and Joe Gomez definitely ruled out, the absence of Lovren would be a big blow for the first leg on Tuesday night. 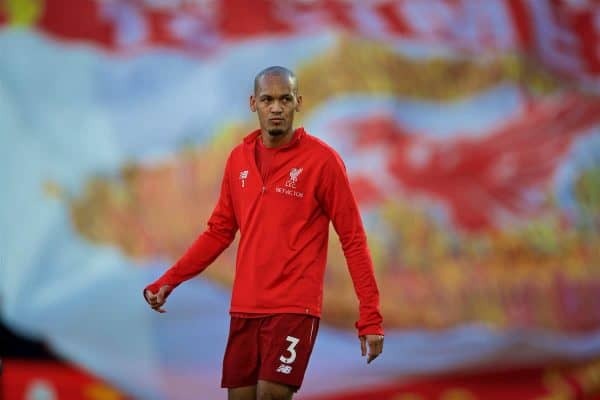 According to the Times‘ Paul Joyce, the squad have prepared for the visit of Bayern with Fabinho training at centre-back, and as the manager gave the latest on the fitness of his squad on Monday, this seems likely. “You want the complete lineup or only parts of it?” he joked at his pre-match press conference. “Dejan we have to see, Shaq yesterday had a clearing session and after that all numbers were up, but we have to see how he reacted today. “The plan today was proper training; good, that would be another option. “If Fabinho [plays at centre-back] in the Champions League against Bayern Munich, it’s not an easy job. “We thought it made sense that we didn’t have our last line defending against Bayern alone, it depends all on how we defend in general, that’s it. “There will be a lot of moments where we have to defend, we worked on that obviously, we tried to work on that because we respect the quality of Bayern Munich a lot. Speaking to LiverpoolFC.com earlier on Monday, Klopp confirmed Gini Wijnaldum is expected back, saying he “looked really well” after illness. 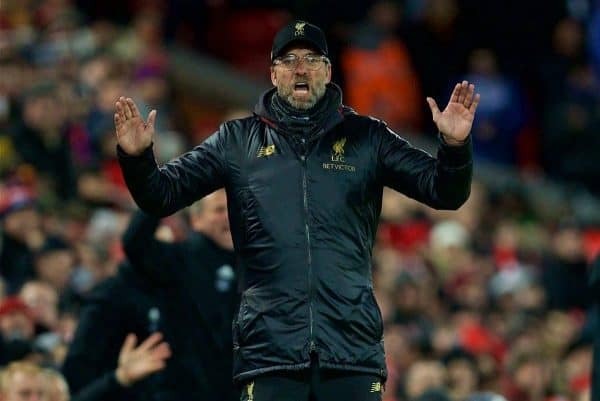 Liverpool were held to back-to-back draws by Leicester and West Ham after their last training camp in January, and the hope will be that their work off the field has been more productive this time around. Bayern, meanwhile, have faced a relentless schedule since the end of the Bundesliga’s winter break, most recently playing out a tough 3-2 win at Augsburg on Friday night. With Klopp requiring a cohesive, diligent performance from his side, particularly if Fabinho is out of position, he expressed his belief that the Reds’ preparation in Marbella was beneficial. “That’s the same thing. You can see that it’s better that you have rhythm and keep rhythm, or you have, like we had, this little break,” he mused. “We used the time, we had to use the time, we had to work on a lot of tactical things. “How we saw it, we prepared for the rest of the season, so we used the time for that. “We tried to give some input, tactical-wise, fitness-wise. We need the time as well to bring a couple of players back. “For that, for sure, it helped. But for all the rest, we will see. What is better, having rhythm or having a little ‘rhythm break’?